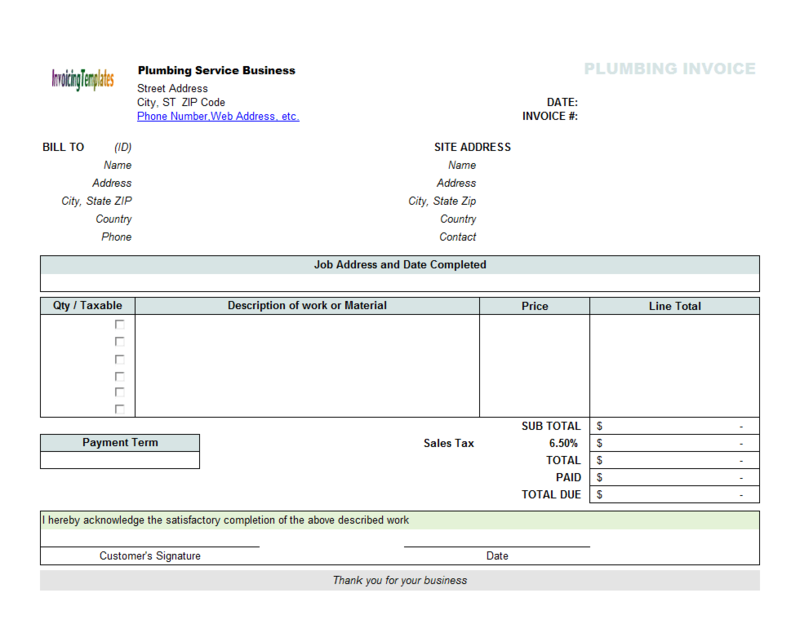 Looking for an easy to use software program for a small plumbing business? You've come to the right place. 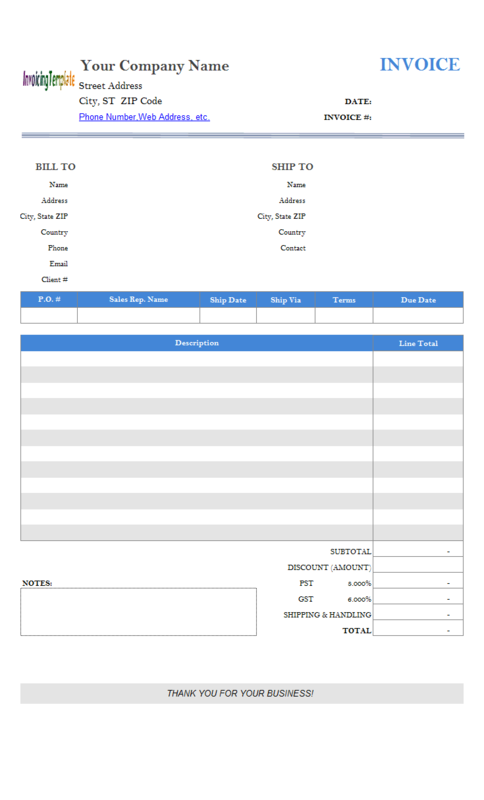 We've built several templates especially for real plumbing businesses or plumbers, each enables you to create plumbing bills as easily as filling in a paper form. 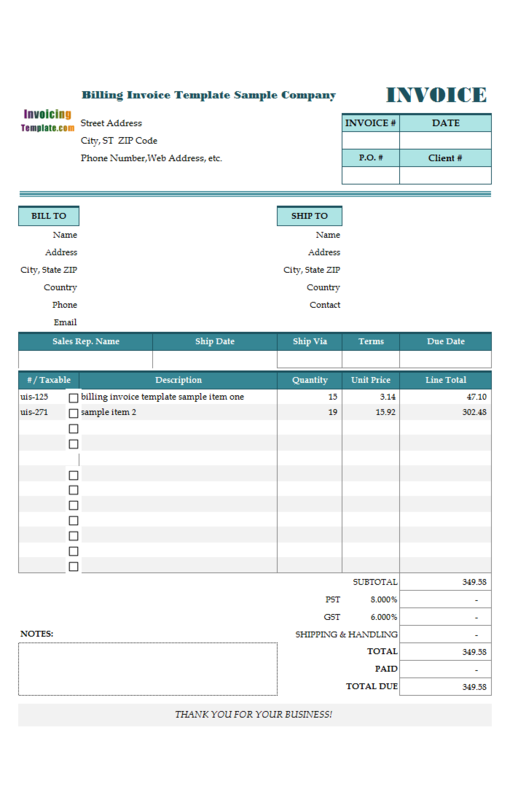 Download any templates for free and start creating your plumbing invoices in minutes even if you are using a mobile device that runs MS Excel. 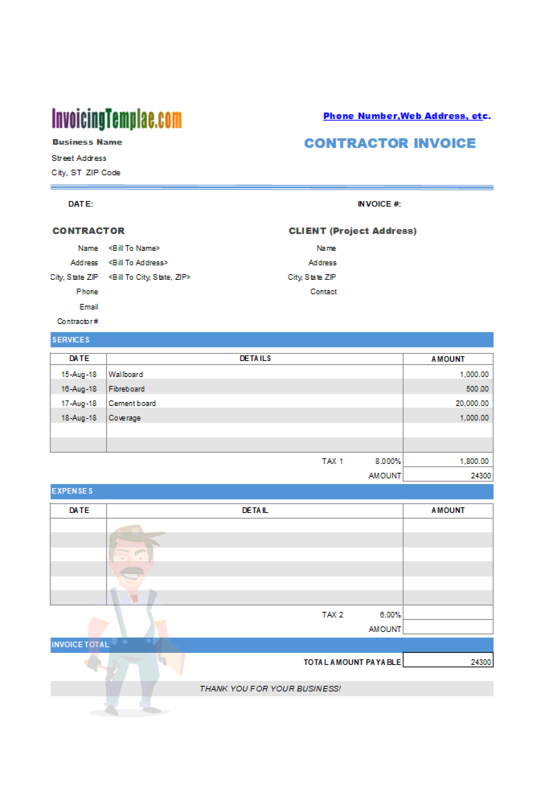 If a simple template is not enough for you, simply install Invoice Manager for Excel (namely Uniform Invoice Software), which turns a simple plumbing bill template into a fully functional invoicing or estimating software, including handy invoice tracking features. 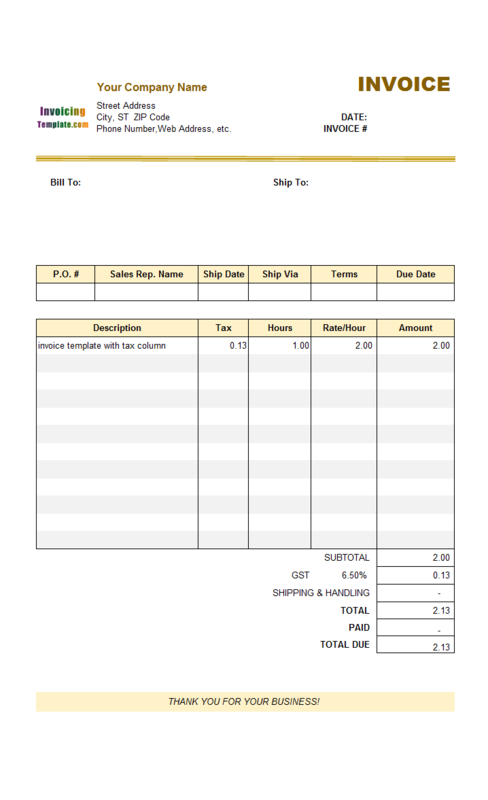 Plumbing Billing Software is a sub-topic of Billing Software Excel Free Download . 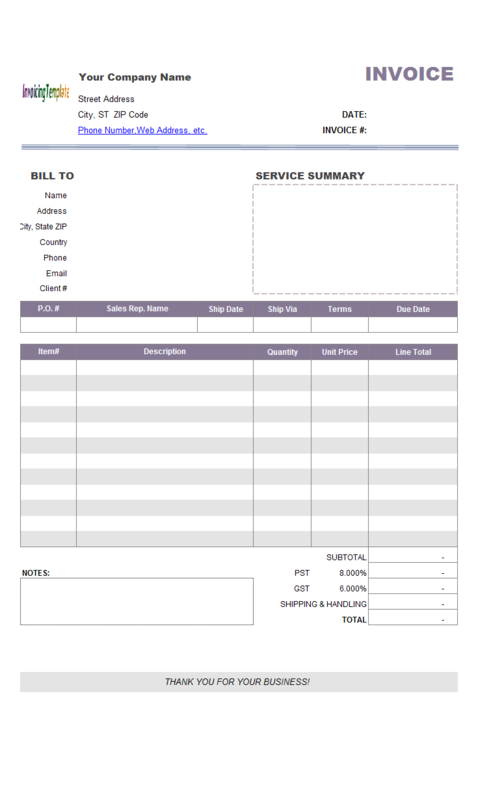 Here are our templates closely related to Plumbing Billing Software. 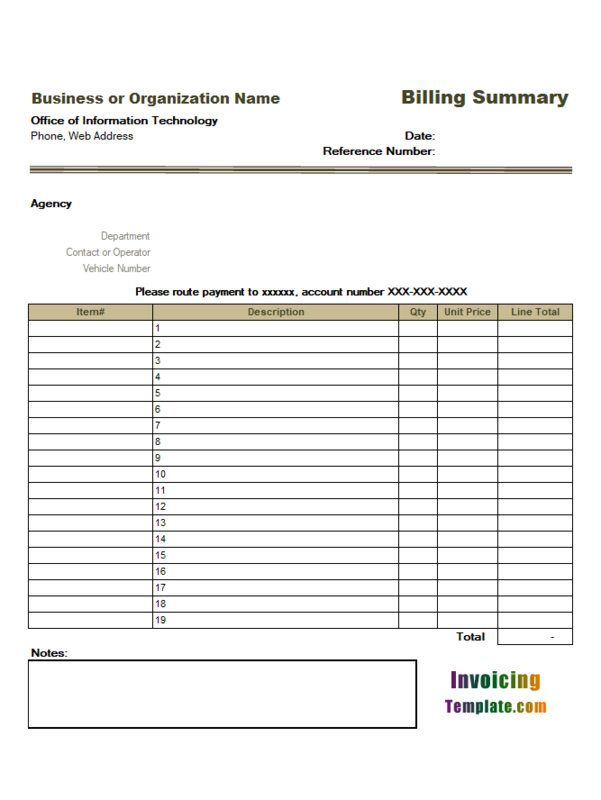 The original version (c2008) Plumbing Contractor Invoice Template contains 2 columns and 12 lines for you to detail the materials used and service performed. 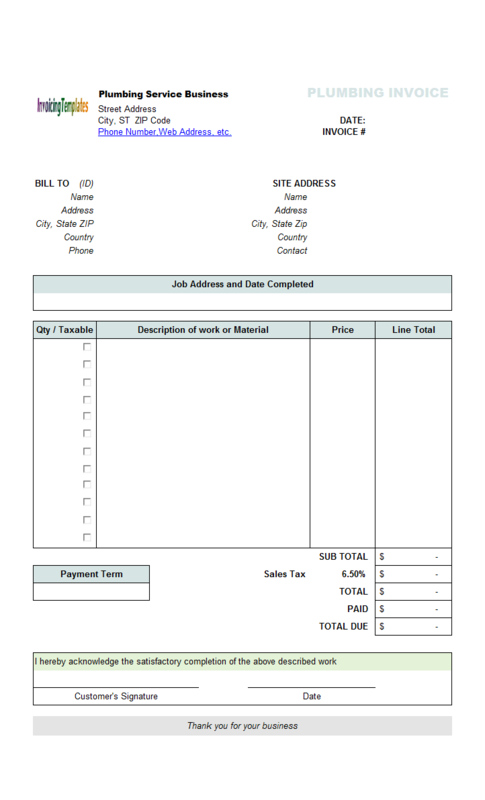 Some plumbers needs less lines on the invoice body, but hope each line could be longer to detail the job / work they have been done. 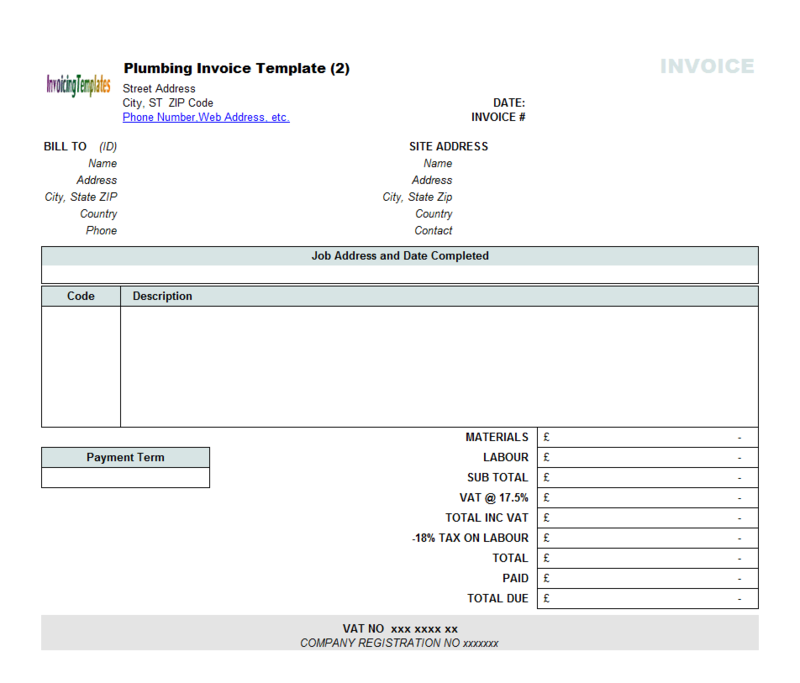 That's why InvoicingTemplate.com designed this variant of Plumbing Contractor Invoice Template. 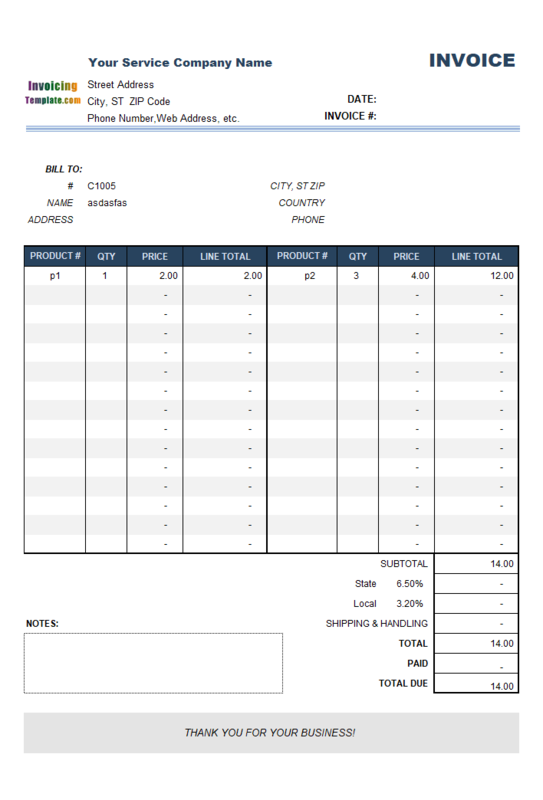 With this new design, the layout of the invoicing form is similar to the original one, but we've set paper orientation to be landscape. 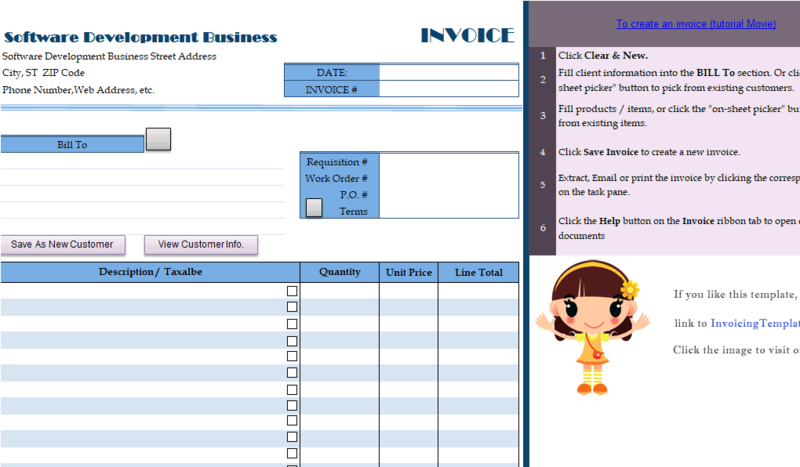 This is done on the Page Setup dialog box. 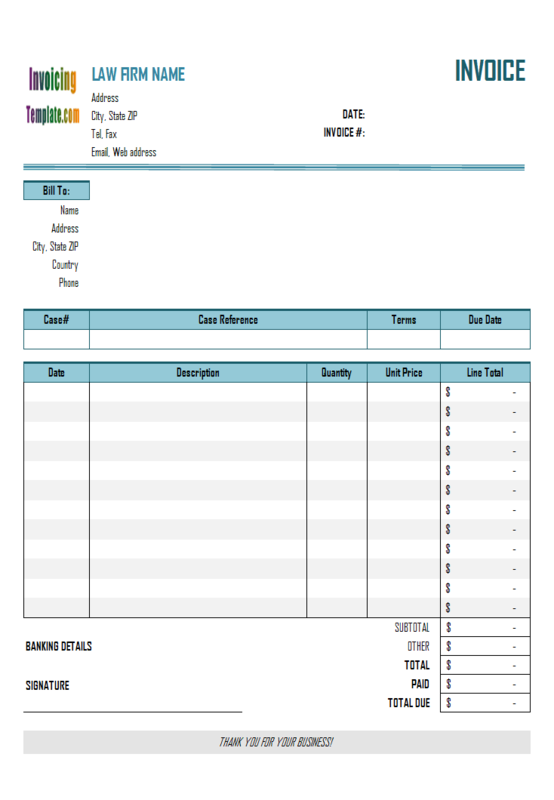 After setting the paper orientation, we adjust the column widths to make them suitable for the new paper. 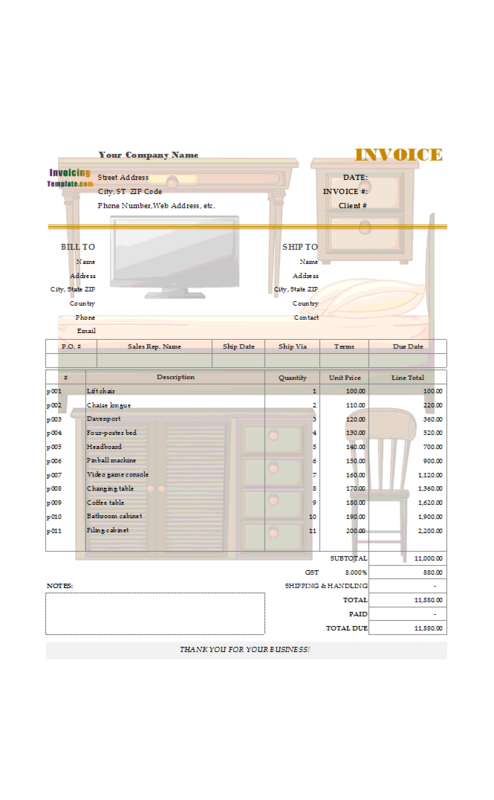 Once your design work is done, make sure you protect $PageTitle and exit design mode. 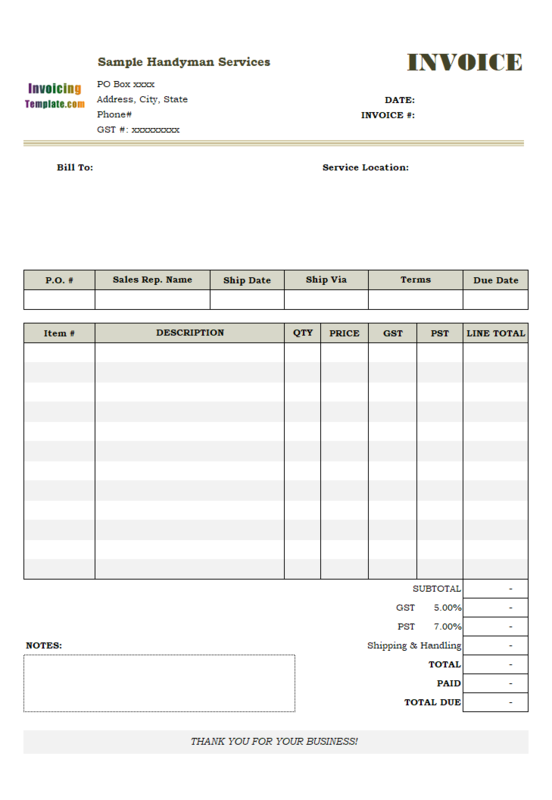 With this invoice layout, we've also changed the currency symbol from UK pound sterling to US dollar. 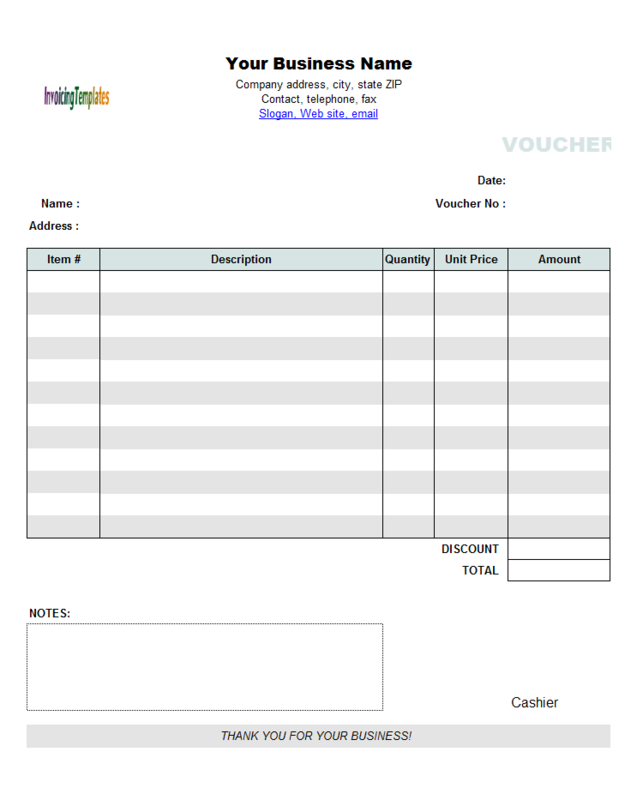 Note that like most other templates here on InvoicingTemplate.com, this templates includes a default logo image on the top of the form. 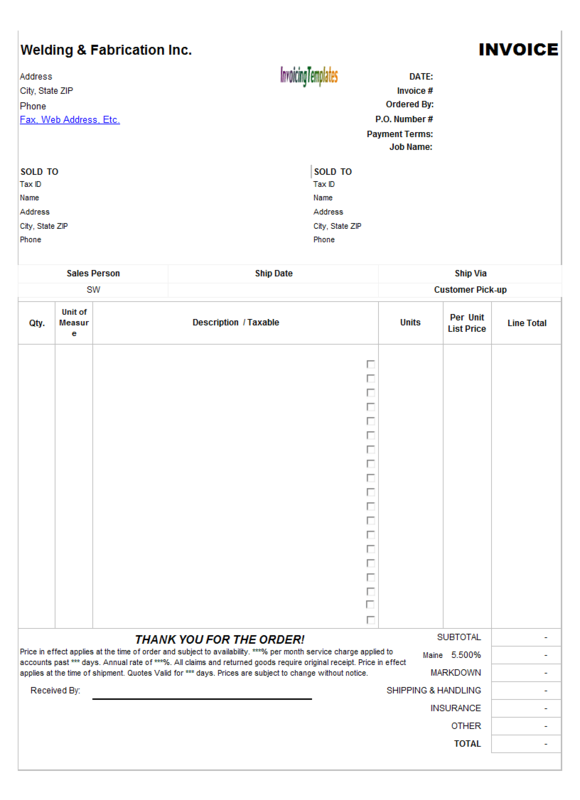 This is a placeholder image which you should replace with your own image. 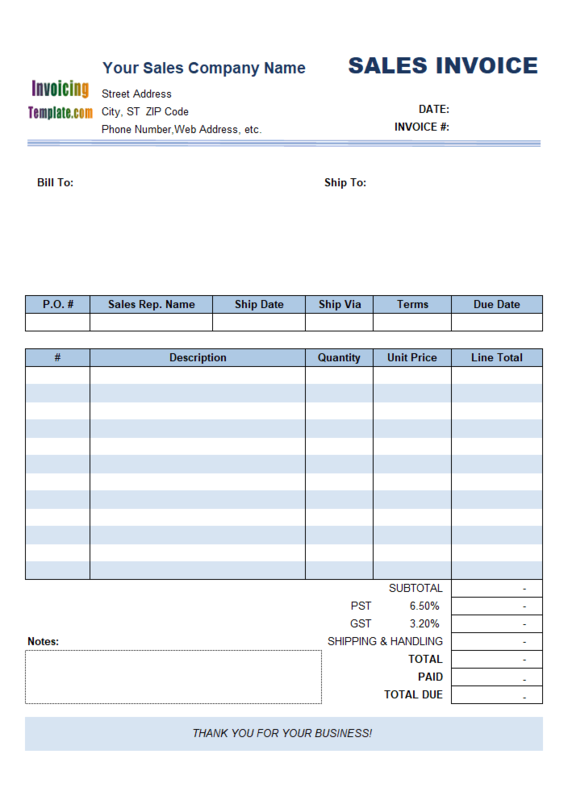 Job Invoicing Sample is a service invoicing template that does not include the shipping fields in the printable spreadsheet form. 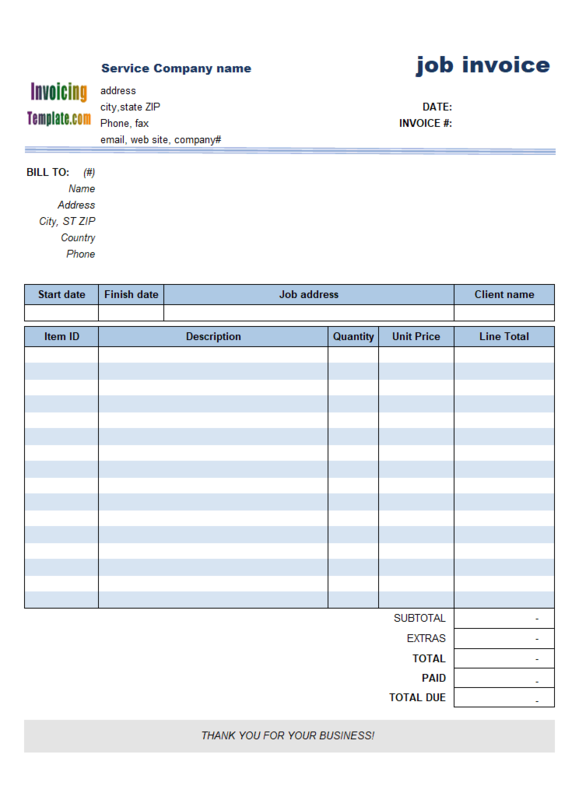 The template added several job related fields to the form, including job start and finish date, work or job address etc. 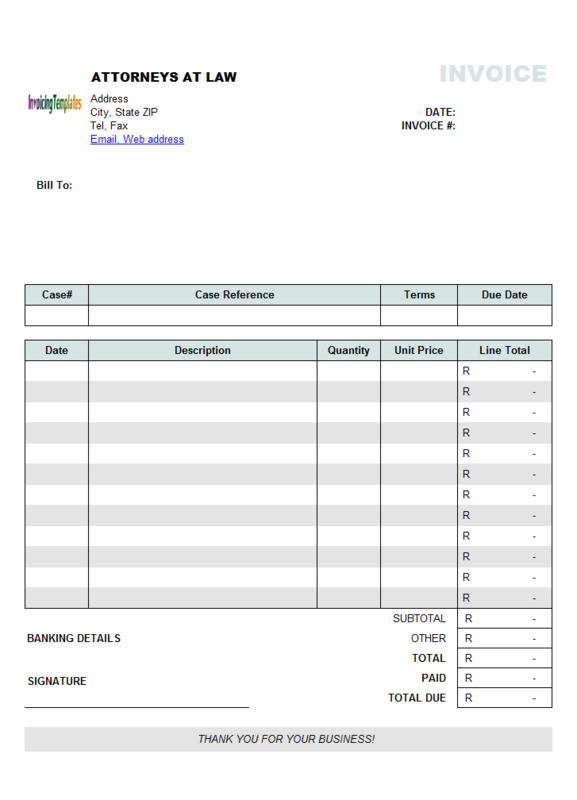 Receipt plays important role in the verification process and in the process of audit. 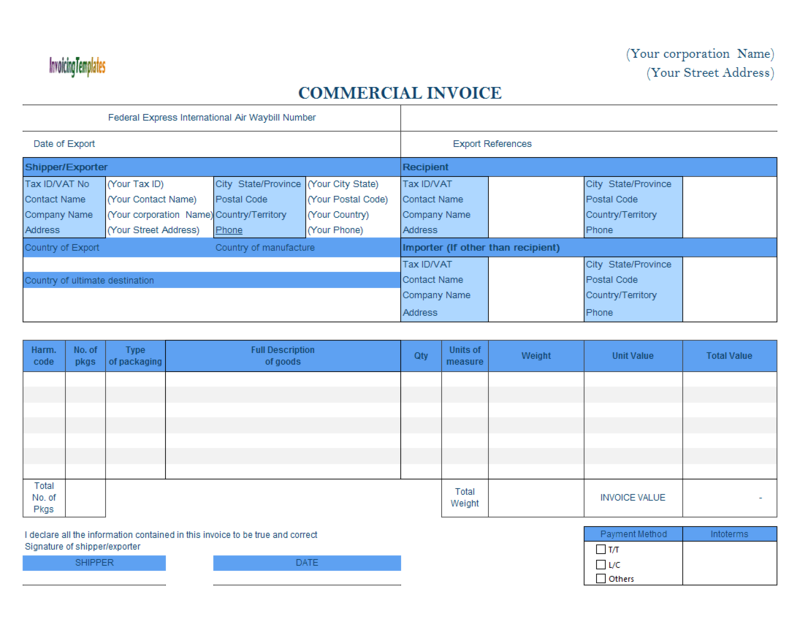 The standard invoice template included in the setup program of Invoice Manager for Excel (namely Uniform Invoice Software) already provided the details of payments, but they are put into hidden cells for the purpose of simplifying the form. 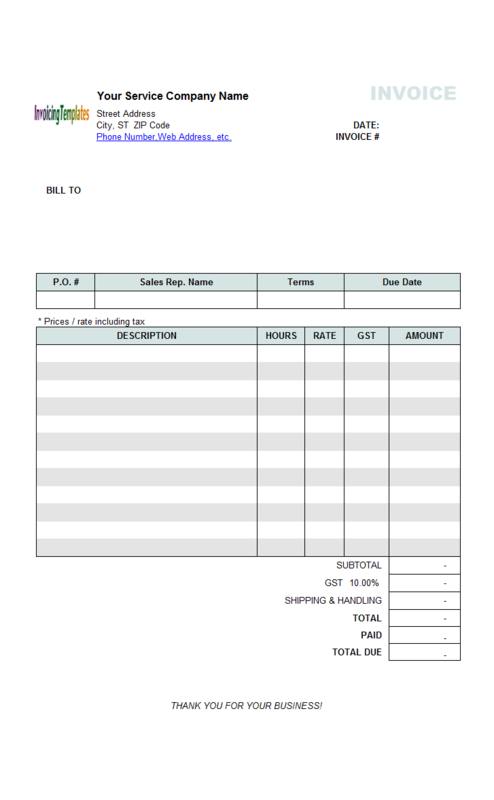 A detailed tutorial on how to unhide the payment details section of the invoice form was originally published on office-kit.com, but now moved here at Receipt Form on InvoicingTemplate.com. 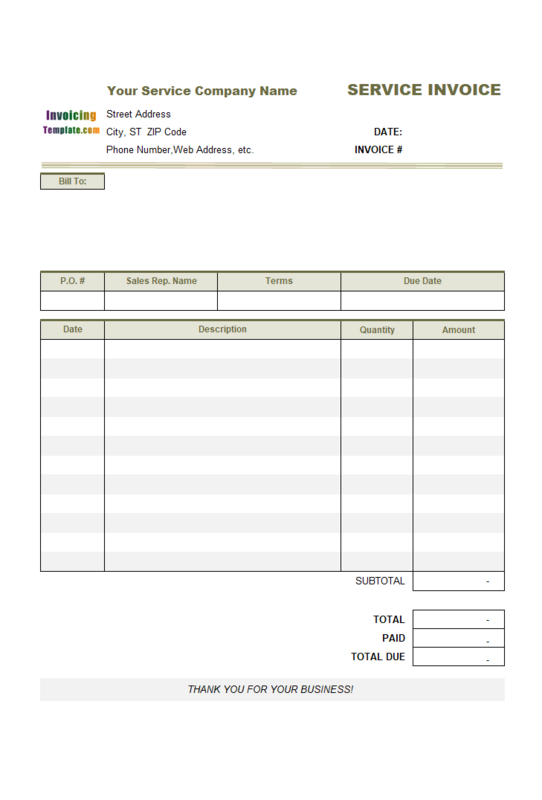 In order to create this invoicing sample, we added a custom field to the invoice body database table. 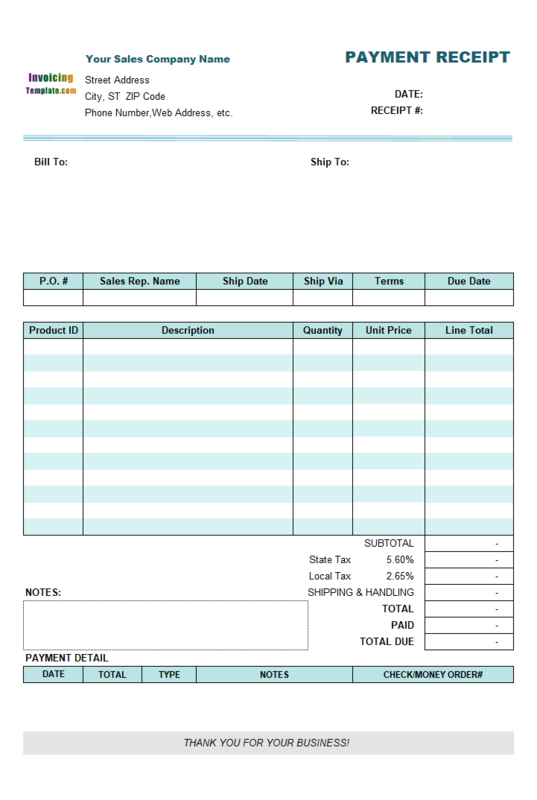 Sales Invoicing Template is a general purpose template that is suitable for many business types. 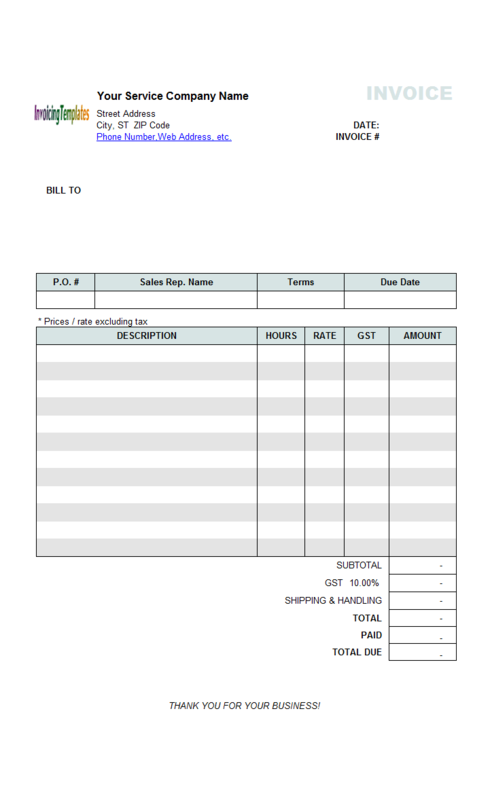 It includes both a "Bill To" and a "Ship To" section. 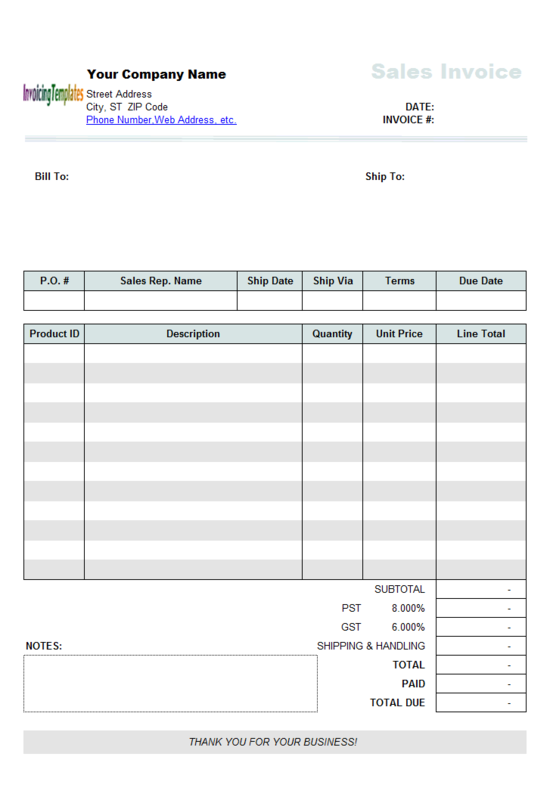 There are also 5 columns on the invoice body, including Product#, Description, Quantity, Price and Line Total.